After the knees, the hip joints bear the most weight in the body. We often take for granted what our hips allow us to do—walk, sit, and stand with weight evenly distributed across the pelvis—until something as simple as hip pain after sitting presents itself. Hip pain when sitting may be more common than you think, but there are exercises and treatments that can help. Why do I get hip pain after sitting? The hips are a miracle of design, a ball-and-socket joint that allows the legs to swing freely in all directions. The head of the femur bone is rounded to fit perfectly into the acetabulum, the socket of the hip. Cartilage surrounding this joint helps to pad and protect the bones from rubbing against each other, and synovial fluid lubricates the joint for smooth movement. Tendons and ligaments help stabilize this joint. The piriformis is a small band of muscle that originates on the outside of the sacrum, that triangular bone at the base of the spine. The muscle then travels across the sciatic nerve and attaches to the greater trochanter. The greater trochanter is part of the femur bone and can be felt when the hips are jutting out to the side. This small muscle has a big effect on hip mobility, allowing us to extend our legs and open and close our feet. When the piriformis gets tight, strained, or otherwise compromised, its contact with the sciatic nerve can cause extreme hip pain when sitting and lying down. Walking will become difficult, and eventually hip pain will be present in nearly every position the body can take. Arthritis is the most common cause of hip pain when sitting. The cartilage in the hip joint is designed to pad and protect the hips as we move through our daily activities. In the case of hip osteoarthritis, this cartilage begins to thin as we age, causing painful rubbing and inflammation. Dr. Scott outlines the causes of hip osteoarthritis in this short video. Ankylosing spondylitis: The causes of ankylosing spondylitis are not clearly known but may be genetic. Largely a spinal condition, ankylosing spondylitis can also cause hip pain while sitting or lying down. Rheumatoid arthritis: An automimmune disorder, rheumatoid arthritis (RA) is a painful condition that causes damage in the cartilage of the joints. One of the unfortunate characteristics of RA is that it tends to affect both sides of the body. A person with RA experiences episodic hip pain in both hips that may worsen over time. While RA occurs mostly in older adults, juvenile rheumatoid arthritis affects an estimated 300,000 children under 18 in the U.S.
Psoriatic arthritis: A hallmark of psoriatic arthritis is hip pain after sitting or lying down for long periods of time. This is another type of autoimmune disorder that causes the body to attack healthy tissues, in this case those present in the hip joint. Bursitis occurs in the hip when the fluid-filled sacs that cushion the movement of the hip become irritated and inflamed. The symptoms of hip bursitis often mimic those of hip osteoarthritis. You may feel pain and tenderness on the outside of the hip that moves to the back of the hip and down the legs if left untreated. Dr. Scott points out that older individuals and those involved in sports or activities with repetitive motions are most affected by this condition. Stabbing or dull hip pain while sitting, especially in low seats, could be caused by femoroacetabular impingement (FAI). This occurs when the labrum, thick cartilage that cushions the head of the femur where it contacts the acetabulum, begins to wear away. Popping or “catching” when the leg moves in the hip socket are also symptoms of FAI. FAI affects those who sit for long periods of time, either for travel or simply because their job is mostly seated. Tendinitis is a less common cause of hip pain while sitting, more commonly found in athletes who participate in sports where repetitive motion injuries are common. Runners and climbers may find that over time the tendons surrounding the hip joint become irritated and inflamed, causing pain. As this damage progresses, moving the joint becomes difficult and very painful, especially after a period of inactivity. This type of lupus is the most common form of this autoimmune disease. The body’s normal defense against disease turns on the body itself, in this case attacking and damaging the hip joint. Most people living with SLE experience periods of remission when there is no pain, with an increasing number of attacks of greater intensity over time. There are other causes of hip pain while sitting and lying down, many of which can result in permanent joint damage if not properly diagnosed and treated. What exercises can help stiff, painful hips after sitting? Even if it seems challenging at times, there are many different exercises that can help with hip pain after sitting. When a painful hip joint remains inactive for a period of time, symptoms can intensify. An estimated 90% of people with hip pain have difficulty sleeping, and fatigue can intensify pain. These exercises help not only with stiff, painful hips but may also help to improve their quality (and quantity) of sleep. Walking at any speed over varied terrain is the best exercise for most hip pain. Bringing movement back into the whole body after sitting by simply walking around is a great way to ready the body for more hip-focused stretching and exercise. If it has been a long time since you have walked or been physically active, start slow. The Mayo Clinic 12-week walking program recommends starting with just 15 minutes of walking a day with periods for warming up and cooling down. If you work in an office or find yourself traveling for work with long periods of sitting on flights or in airports, try to squeeze a 15-minute walk in wherever you can. Hip stretches can be very helpful in relieving stiff, painful hips after sitting. If your hips are very painful, simply sitting with your legs crossed can begin to gently stretch outer hips after a period of sitting or lying down can be a good start. Butterfly pose is another effective seated hip stretch. Sitting on the floor, bend your knees and bring the soles of your feet to touch in front of you (the outside of both legs will be facing the ground). You can gently move your knees up and down like butterfly wings, or you can hold the legs where they are and allow gravity to stretch your hips. Another way to relieve pain in the piriformis and iliotibial (IT) band is to lie down with both legs extended long. Bring your right knee into your chest, keeping the left leg straight on the ground. Extend your arms into the shape of a “T” and then move your right knee across your body to the left. Work towards keeping your right shoulder on the ground. Stay in the twist for a few breaths, then repeat to the other side. Hip stretches don’t need to take up a large part of your day. This six-minute video demonstrates a series of exercises that can be modified to any range of motion in the hips, starting with some gentle stretches and progressing to more challenging strengthening postures. The best way to support all of the joints in your body is to strengthen the muscles that surround them. Daily hip strength training consists of exercises that work all of the muscles of the legs and low back, including the glutes, the hamstrings, the quadriceps, and the quadratus lumborum in the low back. Low lunges, with or without weights, are a great way to activate the strong muscles of the hamstrings and glutes. Side lunges bring in the muscles along the sides of the legs, too. Increase the challenge of lunges and other strengthening exercises by adding an exercise band and using it to build strength in the hips in all directions. The legs move forward, back, and from side to side. Likewise, the muscles of the back and core help to keep the hips stable and strong. You may not be able to hop into a pool to relieve stiff, painful hips, but a quick plank or bridge pose can get the blood flowing to that area while building strength at the same time. What treatments can help me relieve hip pain after sitting? The first treatment is making sure you get a proper diagnosis. Your doctor will take a detailed medical history and then order tests to confirm any suspected diagnosis. They may order X-rays, MRIs, or a CAT scan to look at the bones, tendons, and tissues. There are lab tests that can identify rheumatoid arthritis and Lyme disease, and your doctor may order those. Once you have a proper diagnosis, your doctor may begin with physical therapy. As indicated by the exercises above, movement is a great way to help relieve stiffness and hip pain after sitting or sleeping. A physical therapist will help you learn the proper techniques for maximum benefit. Chiropractic care is a great way to re-align the spine, bringing length to the spaces between the vertebrae. In some cases, regular chiropractic can help relieve pain and treat the underlying condition (e.g., if sciatic pain in the hip is being caused by a spinal condition that responds to chiropractic). Radiofrequency ablation is a technique that uses electrical pulses to disrupt pain signals being sent from the hip. This pain relief option is minimally-invasive and can help a patient feel well enough to start physical therapy. The following video gives an overview of what to expect with radiofrequency ablation. Hip injections are a minimally-invasive technique that can help not only treat hip pain but also diagnose it. An anesthetic and a steroid are injected into the area around the spinal cord. If this injection relieves the pain, chances are good the nerves causing it have been identified. If pain is still present, it is possible that the diagnosis needs to be reviewed. Stem cell replacement and platelet-rich plasma injections are just two types of regenerative medicine treatments that may be able to help with your hip pain. In extreme cases, surgery may be the best option. Arthroplasty, bursectomy, iliotibial band release, osteotomy, and hip joint replacement are recommended only after other options have been tried. Hip surgery can offer a complete recovery from hip pain, but it should not be the first response. In most cases, hip pain when sitting and lying down can be treated with a combination of therapies. Get in touch today to get started on your treatment plan with a certified pain specialist! I have right lower back pain and pain on the leg after sitting or lying. Getting back to standing is painful but once I walk few steps it is normal. And I can do any job. But even after a few minutes of sitting or lying its paining. We’re so sorry to hear about your pain. Thanks for sharing your story here. If you haven’t already, we recommend reaching out to a doctor in your area: https://paindoctor.com/get-relief-now/ or using the tips here to find one: https://paindoctor.com/pain-management-doctors/. I have very bad hip pain that seems to be getting worse as time goes by. After sitting for only 10 mins, when I stand up, I have to stay in one spot for a minute before I can take my first step. It causes me to walk with a limp but after walking for alittle while, it seems to feel better. My sleeping at night isnt very good. Its painful to turn over to change sides. My hip feels like its deteriorating or something.What could it be? Hi Christine — You can find more info at https://paindoctor.com/hip-pain-at-night/. I have hip pain on the left side after sitting for a few minutes. There is no pain while sitting. Only after I get up does it hurt. The pain goes away after a few minutes of walkng around. The time it takes to stop is proportional to the time I was sitting. Also, there is no pain after getting up if I only sit on my right side. I accomplish this by sitting on half of an added cushion. We’re so sorry to hear about your pain Ardy and thanks for sharing your story here. 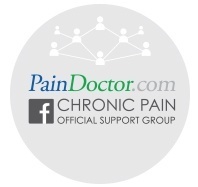 If you haven’t already, we recommend reaching out to a doctor in your area: https://paindoctor.com/get-relief-now/ or using the tips here to find one: https://paindoctor.com/pain-management-doctors/.